The image on the right, rotated, cropped, and reduced to post here, shows another such feature, but this time it is less alien and more resembling a typical Earth glacier, flowing downhill slowly and pushing a moraine of debris before it. The picture was taken by the high resolution camera on Mars Reconnaissance Orbiter (MRO) and was part of the January image release. 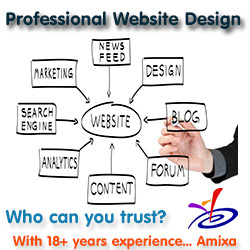 If you click on the image you can see the complete photograph at full resolution. 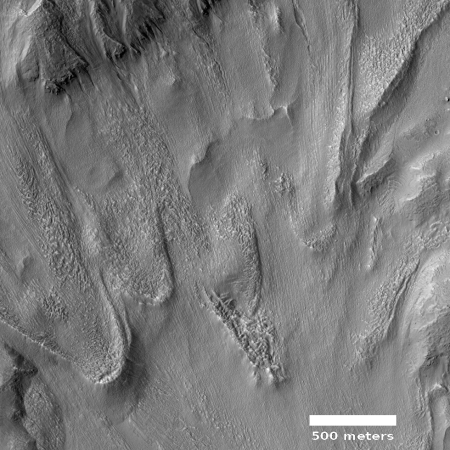 The release has no caption, but is titled “Tongue-Shaped Glacier in Centauri Montes,” referring to the largest tongue-shaped flow on the left. This feature, more than any other in the image, resembles closely many glaciers on Earth. It even has an obvious moraine at its head. As the glacial flow pushed downward slowly it gathered a pile of material that eventually began to act almost like a dam. The location of this feature is intriguing in its own right. 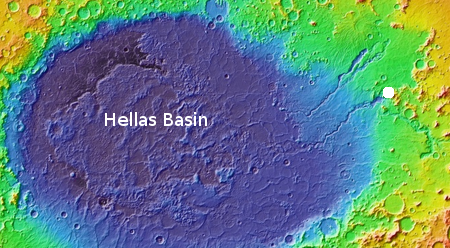 It sits, as shown by the white dot on the overview image on the right, at the eastern edge of Hellas Basin, the deepest place on Mars. It also sits at the what appears to be the headwaters of a very distinct meandering canyon draining into Hellas. 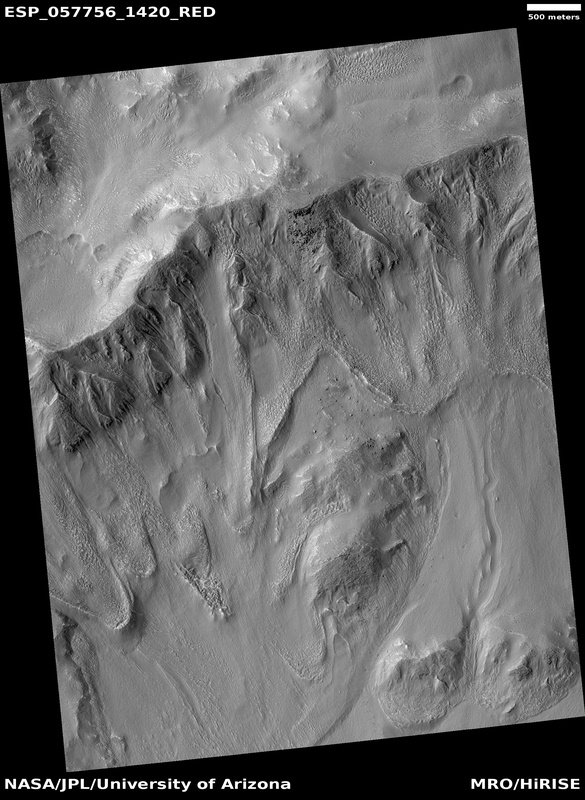 Taken together, these images suggest that the glaciers here once fed water down into Hellas, where that water might still be found, frozen below the surface. Since the atmosphere at the low elevations in Hellas is also expected to be thicker, this data makes this Martian real estate quite inviting for colonization, though obviously this conclusion is very preliminary and uncertain.